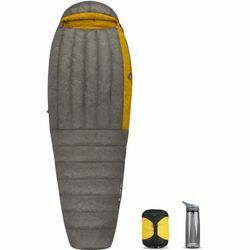 Sea to Summit Spark SpII 28 Sleeping Bag. The Spark™ Ultralight Sleeping Bag Series spans everything from an ultralight down-filled liner to a mid-winter fast-and-light sleeping bag. Each model uses premium materials and no-frills design to provide cutting-edge performance for the designed end-use.